By Jonathan Stroud, published by Random House. 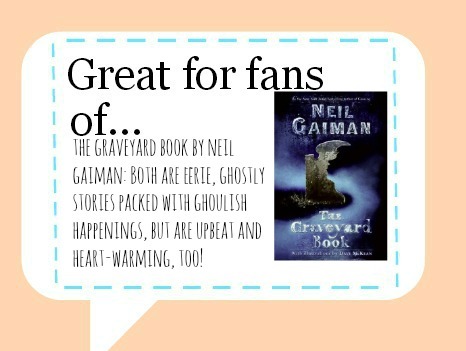 Another five star review for my Halloween Reads! Yay! This one’s nothing like ZOM-B, which I reviewed earlier… it’s more for the fans of the paranormal who want a terrifying read to curl up with. 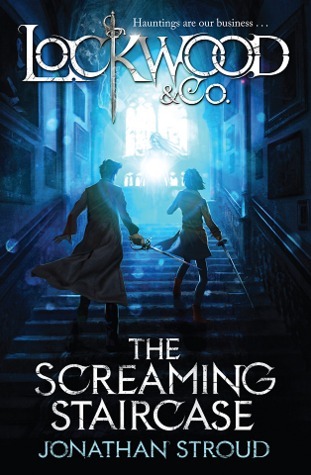 Goodreads Synopsis: When the dead come back to haunt the living, Lockwood & Co. step in . . .
My Review: Thanks very much, Stroud. You had me tossing and turning all night thinking about ghosts, rushing up stairs in case there were ghosts that might haunt them (no really. ), and made me a MASSIVE fangirl. I’ve given it a while to write this review, so I can let it sink in a bit. No review I could write could do this enough justice… it was just simply amazing. Stroud has created a unique, imaginative world in which ghosts roam freely. They haunt so many houses- they’ve turned into some kind of infection spreading throughout England. So, agencies have sprouted up around the country, too, and Lockwood & Co. is that one with the bad reputation and the low-ish income. Luckily, with the arrival of Lucy, things begin to get a lot more exciting for them, because they’ve discovered their biggest case yet. Despite this book being set in the modern world, for some reason I imagined it all Victorian, and I have no idea why. Maybe it was because there weren’t that many technology references? Maybe it was because Mr Lockwood reminded me a bit of Will from the Infernal Devices- cocky, arrogant, mysterious, and just loveable. Either way, I loved the future that Jonathan Stroud has crafted! It’s eerie, and quite terrifying for a Children’s book. It’s just brilliant- a rich dose of paranormal horror that will send shivers up your spine and grip you like a vice. Lucy was a fabulous main character. The story was structured in a unique way- starting with an event that sparked their biggest mystery- then zooming back in time to build up Lucy’s back-story, then zooming ahead of time again to carry on with the book. Maybe I didn’t make that sound great… but it’s genius. I got to know Lucy so well! He accomplices, Mr Lockwood and George were also both loveable and brilliant leading characters, that I really want to read more about. Lockwood & Co. is so gripping, also because of the writing. Jonathan Stroud’s writing is just immaculate, to say the least! His descriptions were beautiful, and the dialogue witty, mostly, to give the rather grim book an upbeat, feel-good essence. The writing drew me into Stroud’s novel so effectively that I found the book hard to put down- devouring the book in about three sittings! Overall, Lockwood & Co. was an amazing novel. I haven’t read any ghost story as brilliant for a while! The plot was gripping, and full of ghosts and spectres that’ll keep you awake at night. One word to describe the story? Addictive. That’s what this story was! It held onto me from the first page and didn’t let me go until I had read (and re-read) the last chapter. I can’t recommend this enough to fans of the ghoulish and ghost stories. I think I’ve now got to go and hunt down Stroud’s other series, and then impatiently wait for the next book. Bring on the sequel! I purchased a copy of Lockwood & Co. from a local bookstore, but also received it on Netgalley- In no way at all did that affect my thoughts. This entry was posted in Uncategorized and tagged children's, dark humor, death, drama, ghosts, horror on October 17, 2013 by keithbwalters. Thank you, Debbie! 🙂 Loved your review too. Lockwood is such a brilliant book. Yay, so glad you loved this one. I adore Jonathan Stroud.